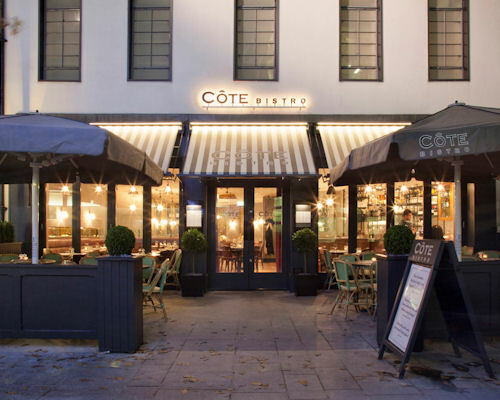 Nestled in the heart of the lively and fashionable Liverpool ONE development, Offering all-day brasserie dining, from breakfast through to lunch and dinner, Côte offers more choice and variety to a vibrant part of Liverpool.
" Paradise Street is becoming a bit of a foodie hotbed at the moment, with tons of places popping up, offering a great variety of different cuisines, all within a stone's throw of each other, in what only a few years ago was a gulf of empty units on the edge of Liverpool's shopping district. Our resident shopaholic headed down to check out Cote Brasserie, doing her best to dodge the distraction of shops on the way. 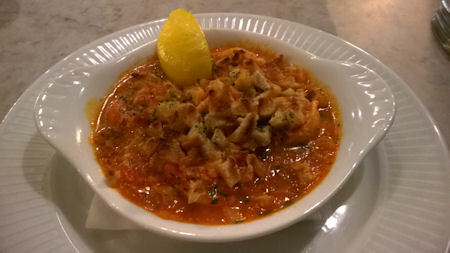 Now even on a dark and dreary Thursday evening, the dining room was absolutely jam packed with customers. 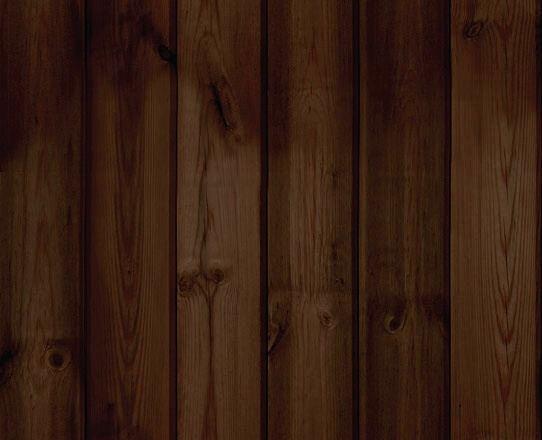 Décor was dark and moody, with a very modern feel to it. Not quite as rustic as we expected based on the very traditional French menu, but without question a lovely dining space indeed, especially given the window seat, ideal for people watching. 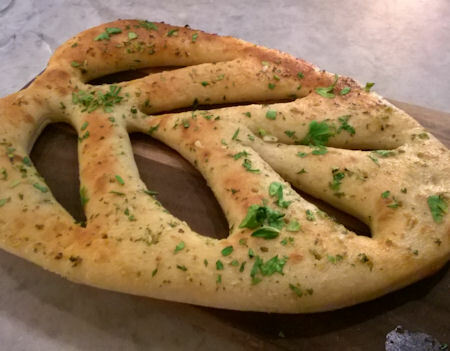 To whet the appetite, we gazed over the menu along with a Fougasse loaf; a piece of bread which resembles a leaf in its pattern. It was crusty on the outside, light and fluffy in the middle, with just the right amount of garlic butter to seal the deal. A textbook bake, and a great way to start. Any restaurant's bread is often a great sign of things to come, so this was very pleasing indeed. Over an impressively balanced and flavourful Kir Royal, we sat back enjoying the street side view, amidst the hustle and bustle of the busy and vibrant brasserie. 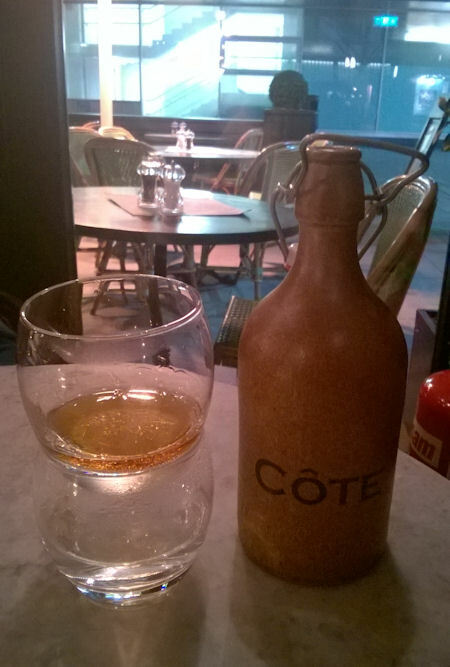 We also loved the complementary filtered water, which came served in attractive Cote snap top bottles. 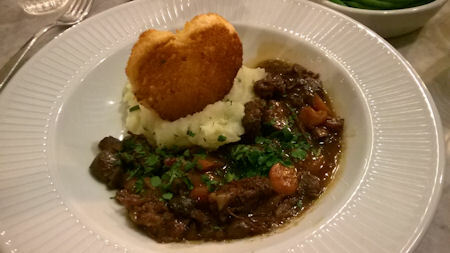 For our main courses we chose the well-known and rightly popular classic of Beef Bourguignon (£13.95), which came with potato and chive mash. It was a satisfying and wholesome plate of food, which ticked all the boxes really. 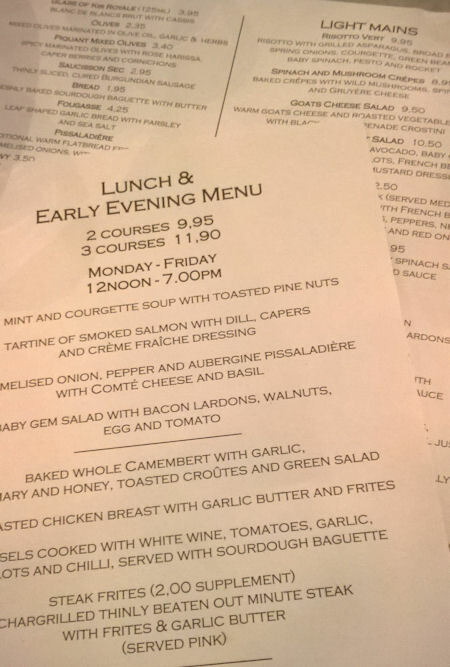 The star of the mains for us though was the Poulet Grille, which for £10.95, was an absolute steal of a dish. 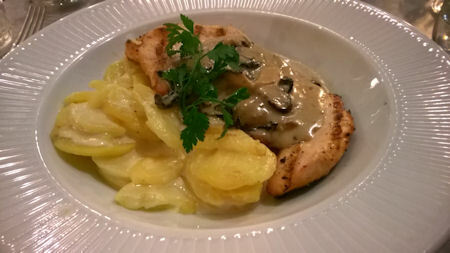 Served from the 'Rapide' menu; which contains dishes which are served in around 10 minutes, the butterflied chicken breast was perfectly cooked, served with a sumptuous mushroom and thyme sauce and lovely gratinated potatoes. 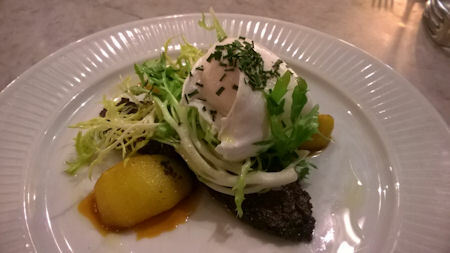 We couldn’t fault this dish, especially not for the price point. We shamefully actually ordered some frites and green beans too, not that they were technically needed as part of either of our main courses. Both were excellent, especially the pin-point seasoned skinny frites. The understandably French heavy wine list also offers something for all tastes too. As our plates emptied, we asked ourselves; what self-respecting food writer eats out without partaking in puddings? Well, not this one, regardless of how ample the previous courses were. We dived into the puddings with a Crème Caramel (£5.50) and Tarte Citron (£5.50). The 'Caramel' was outstanding; rich, smooth and silky. We couldn’t fault it one bit. 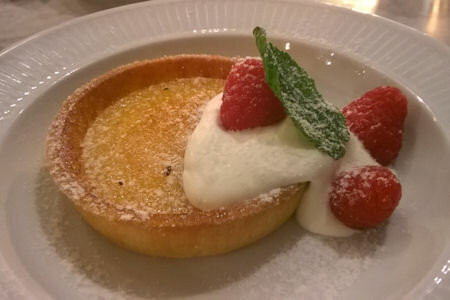 The Tarte which came with well-cooked pastry, filled with a lovely, tart, smooth lemon. The also-tart cream fraiche and the even tarter out-of-season raspberry didn’t really add much to the dish though, and something sweetly contrasting would have worked better, but it was still a textbook tart and it's refreshing acidity finished off the meal nicely. As s sat pondering our evening, we ordered an Armagnac; stylishly presented in a lovely globe glass, sat atop another glass full of steaming hot water, to warm through the brandy. A lovely touch.